Do you feel as though the darkness of a day is overtaking you? Are you looking for hope but find that only despair stands before you? “Hope for a New Day Devotional,” will become a morning devotional that will bring a new start to your day, while shining the light of God’s hope upon a pathway that had at one time faded away, due to overwhelming moments of pain, heartache or just a bad day. 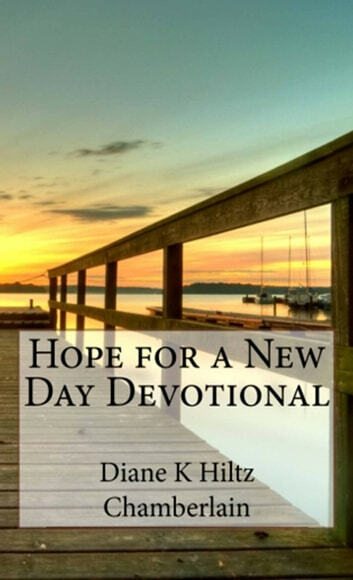 “Hope for a New Day Devotional” contains 70 powerful devotions that will sooth the hurting soul and replace despair, with an everlasting peace; that can calm any storm that may be raging within. Each devotional will replace the dark and negative thoughts and feelings of a circumstance, with a light of hope; where you can once more experience the presence of God, rather than the weak moments of affliction; that have attempted to take you down. As we live in the end times, we are constantly being faced, with one problem or another, which only drains us, of the hope that we once experienced through God. “Hope for a New Day Devotional,” will help your eyes to become opened to the truth that will not only bring renewed hope into your life but these words of truth, will also become a means of escape, from the darkness that once separated you from life and God. Each devotional is not only filled with words of hope and truth but with words that will truly connect you to the presence, of a great and mighty God…a God that will sustain you, until the difficult moments cease to rage no more. “Hope for a New Day Devotional,” can be used for a specific need or as a book of daily readings and will become one of the best motivational books that will bring hope back into your life, after reading each new day devotional. Come and check out one of the best inspirational books that are truly inspired by God. Hello! Heaven Is Still Speaking, Are You Listening?